Update: We should say Google is re-adding Routines to Chrome OS. Read Android Police’s coverage for more on that. 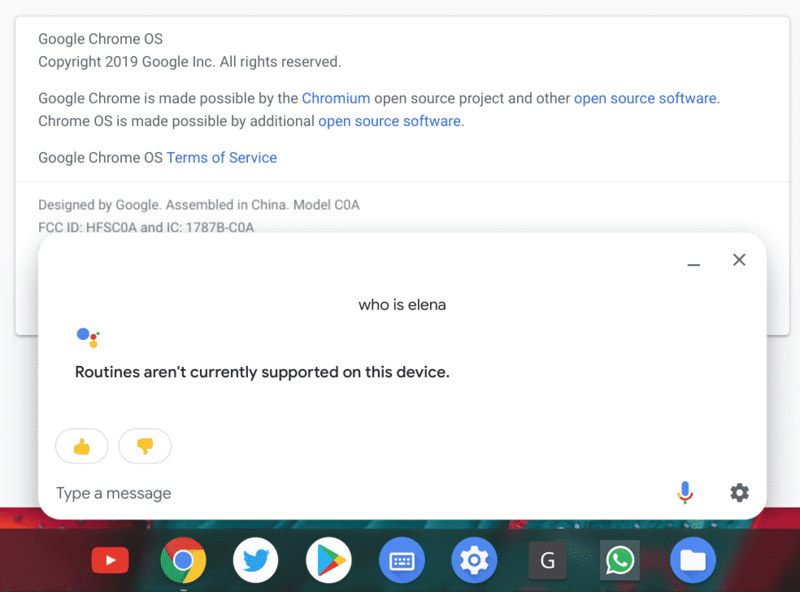 Using Google Assistant on your Chromebook? Here is a good news for you! Routines, a Google Assistant feature that lets you use one command to get multiple things done, is coming to Chrome OS too. Creates feature flag for Assistant routines. There are no other details available from this code commit though. I could see that the code was being added to “chromeos/services/assistant/”. That clearly shows that it is Assistant on Chrome OS that they are referring to here. As I mentioned, I am not using Routines for the purpose that it was built for. I should consider exploring this feature further and set up some interesting routines (suggestions?). Did you know that you can integrate Routines with your alarms? One question for you. Can you think of some clever ways to use Routines on Chrome OS? Let me know in comments!